and check out Colleen’s website at Colleen Harvey Films. 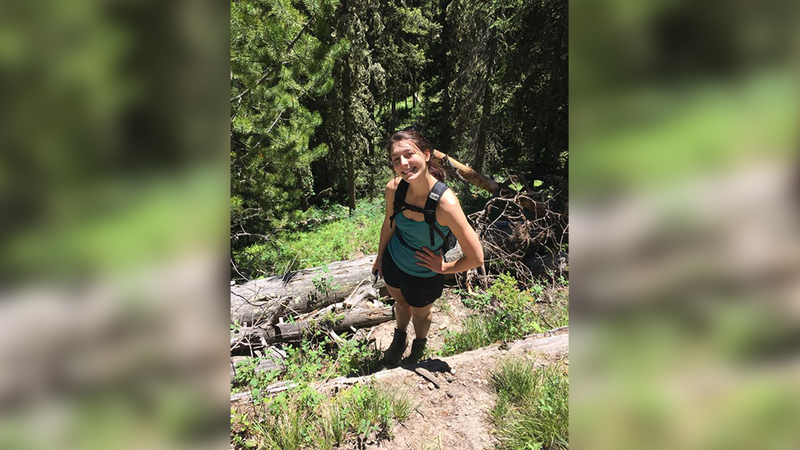 Colleen Harvey graduated from Purdue University’s Film and Video Studies and Natural Resources and Environmental Science program in 2015. 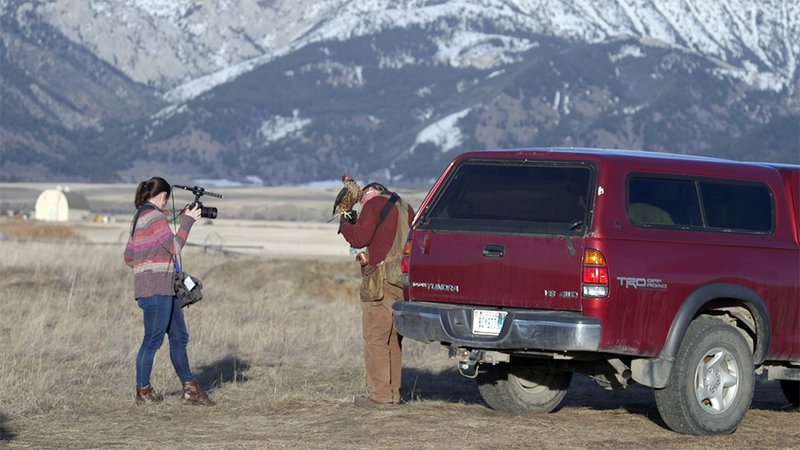 She is currently a MFA student at Montana State University in the Science and Natural History Filmmaking program. She is passionate about telling meaningful stories in a creative and quirky fashion. Her films focus on environmental concerns, specifically how humans relate to the natural world. 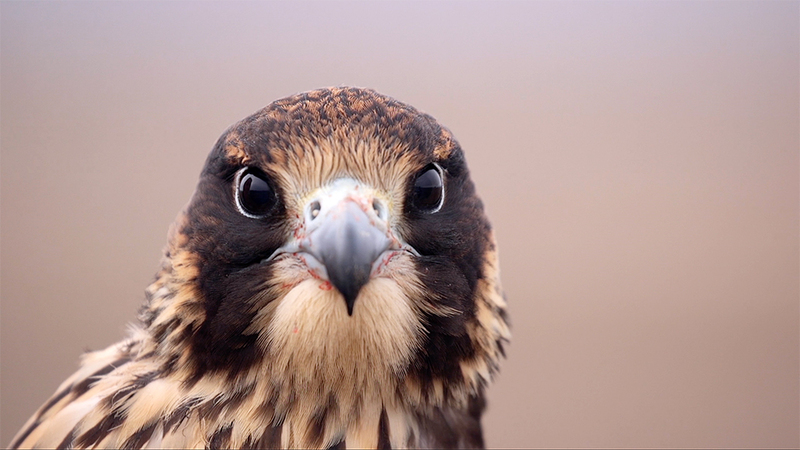 TERRA: What inspired you to make a film about falconry? 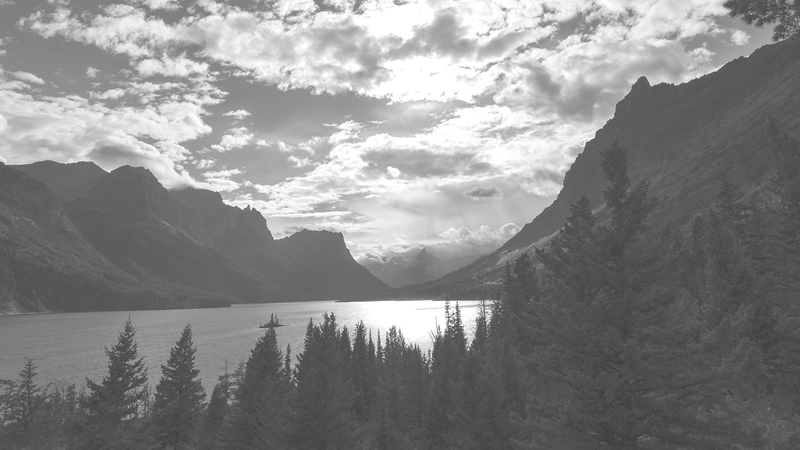 CH: Since recently moving to Montana, I knew I wanted to make a film about something that felt distinct to this area. 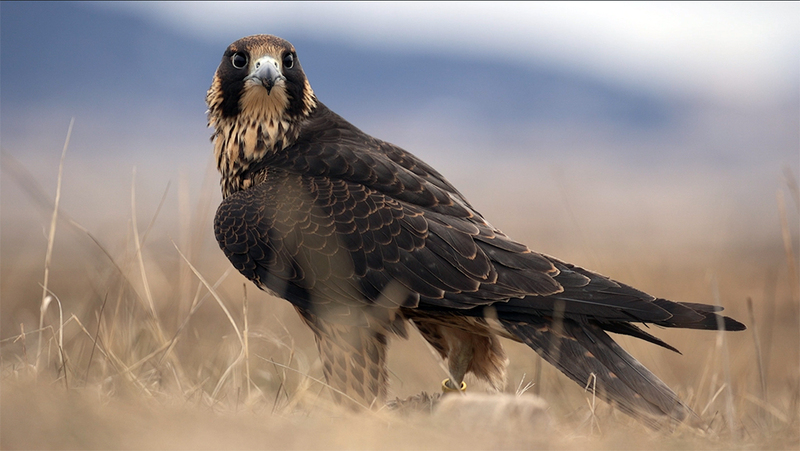 The idea of training a wild animal to hunt seemed to reflect something larger about the complexity around wildlife. People here respect the wild immensely, but also are constantly searching for that balance between human needs and leaving the wild, wild. I think a lot of the time the species that end up surviving are the ones that humans connect with. I wanted to learn more about captive wildlife and examine the relationship they have with their human caretaker or in this case hunting partner. 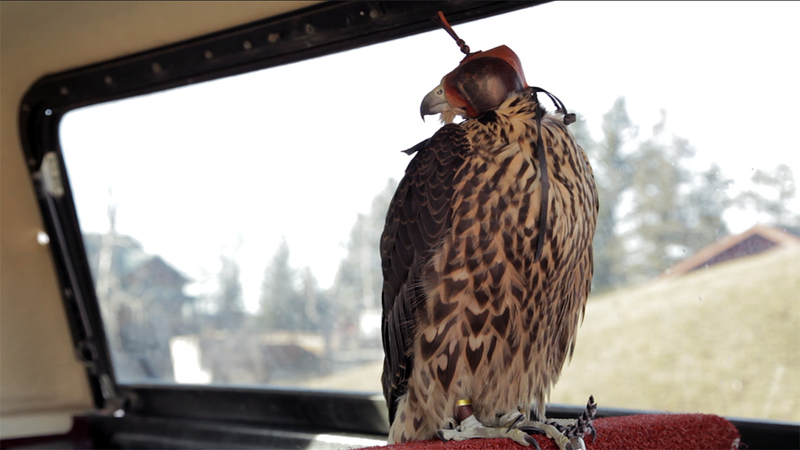 CH: Falconry is definitely not for the faint of heart, there are so many factors that go into every time you take the raptor up in the air. 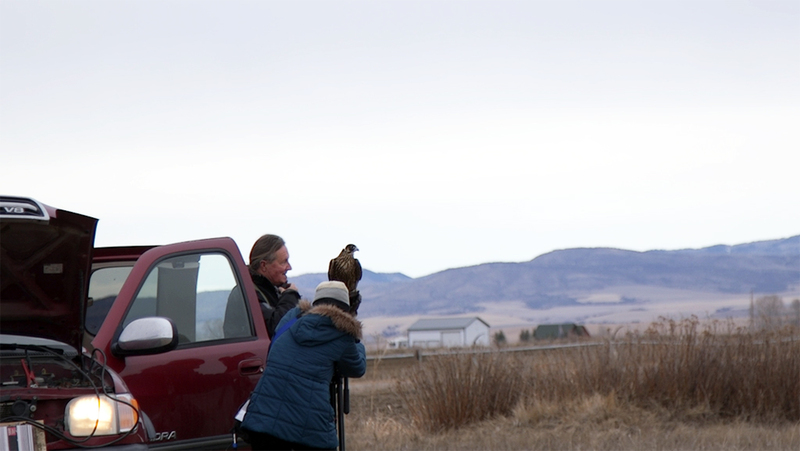 You have to think about weather, wind speeds, migration season, predators around the area, and the falcon’s weight. A misstep in any of those factors could turn a practice day into a disaster zone. Because the perfect conditions could line up at anytime, I really had to be on call 24/7 to film the practice. Most of the time Sam would practice in the morning, so I would just drive out to the field and wait. If he wasn’t there by 8AM that meant that the day’s conditions probably weren’t right for flight and if he was then I knew I was going to get to a chance to see something truly amazing happen. TERRA: What was your favorite experience you had during the production? CH: My favorite experience was getting to see Penny and Sam’s relationship. I could tell how much Penny meant to him. 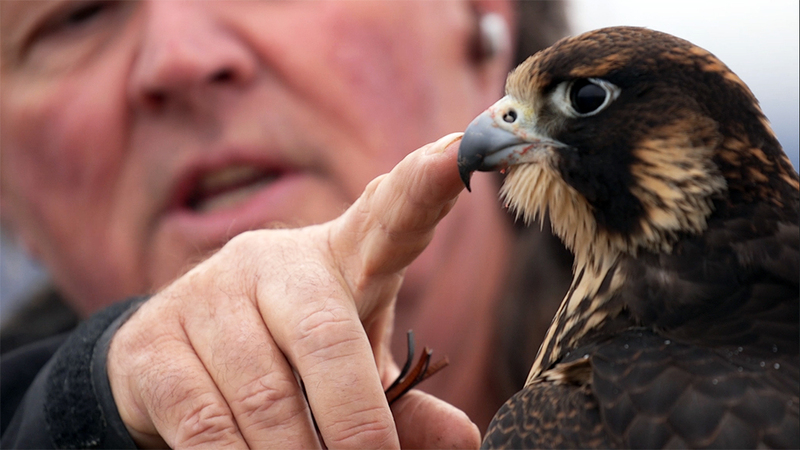 Also, getting to see falcon’s hunt was a rush every time. They are truly incredible creatures and seeing them out hunting took my breath away every time. CH: Actually, I really enjoyed the production of this project. It was awesome being out in the field and getting to see the flight as well as spending time with Sam, who was great to get to know. I think both of us enjoyed the company. I would say the biggest challenge for me was the edit. 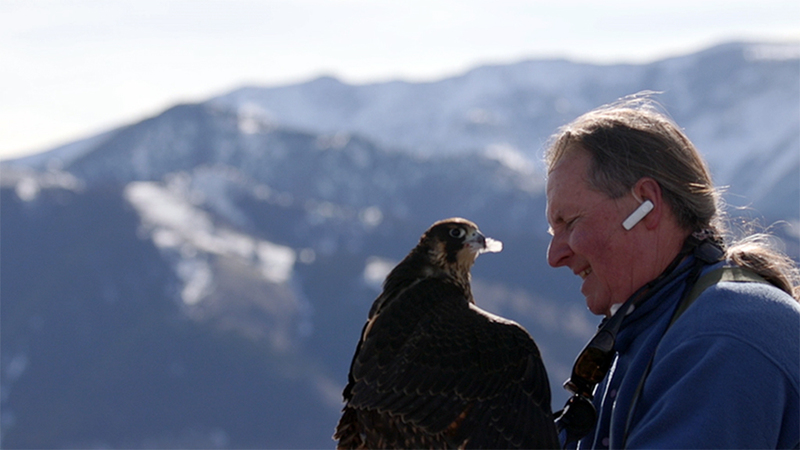 I think you really don’t want to promote falconry to the average person, it really takes someone who can be there all day with their raptors, fully dedicated. There are people who do the sport right, but it’s easy to understand why it would be a huge problem if you neglected your raptors. CH: Some really helpful items I always try to bring with me are an audio splitter, a scratch paper with notes, and earbuds. As most of us are probably doing, trying to run sound, camera, and talk with your subject, audio is easy to make a mistake on. I find splitting the signal so I have a hot and cold channel can save me when I’m not watching closely. Also, having earbuds works better for me than a headset because that way I can keep one earbud in to hear the audio, and have one earbud out so I can talk with my subject and be more aware of my surroundings. I also always try to think through what I’m trying to capture that day and have it written down, that way I can make sure I get my needed shots. I might make notes about shot angles I want to remember to get or a question I want to ask my subject. This helps me remember my priorities when a lot is going on. TERRA: 6. What inspired you to become a filmmaker? CH: I was really into photography in high school and watched a few documentaries growing up that I really connected with. There is something in the magic of the moment and the beauty of life. I guess I always felt a connection with wanting to capture that, that moment of vulnerability, of love, of the humor in the every day, those moments that connect all of us. I never went the narrative rout because of the lure in that. CH: My dream project would be one involving sea turtles. They are one of the hardest creatures to study, so they still have a bit of their mystery, which I love. They also look like an ancient creature, which equates with wisdom in my mind. I think we can all learn a bit about the wonders of our world through their story.